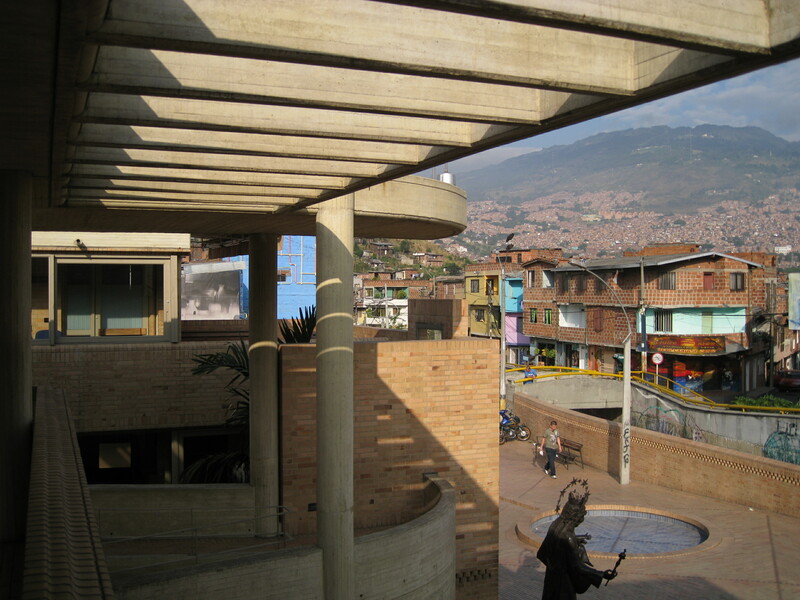 Trying to clean up its past associations and scars received during the 1980s as “the world’s cocaine capital,” Medellín has implemented several initiatives designed to upgrade the city’s shantytowns, areas that were a primary targets of ”prolonged bloodshed” during the open struggle for political control between the narcotic traffickers and the government. 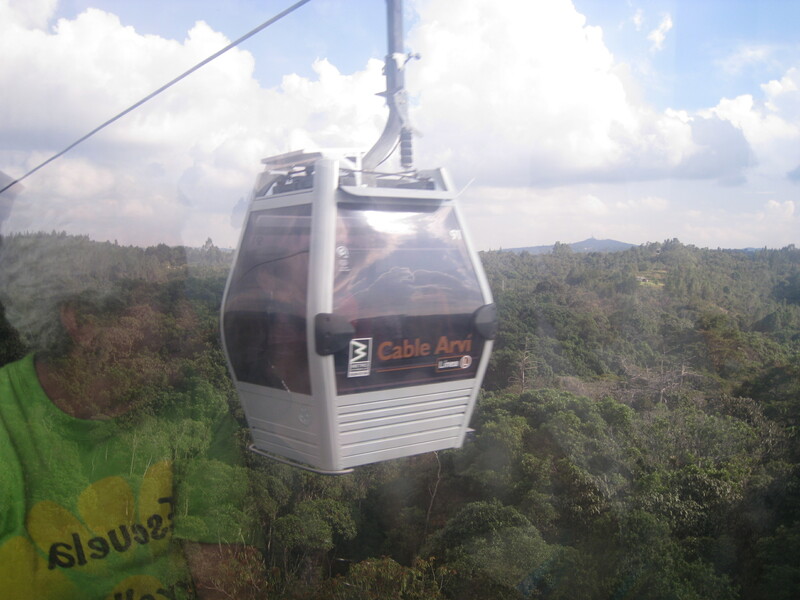 A clear example that began with Mayor Luis Perez around the year 2000, are the city’s gondola system, “Metro Cable”, constructed as an addition to the already existing Metro system (the only Metro in Colombia). Between 2003 and 2007, elected mayor Sergio Fajardo focused on “reactivating” and once again representing some of the forgotten and marginalized communities in the city. 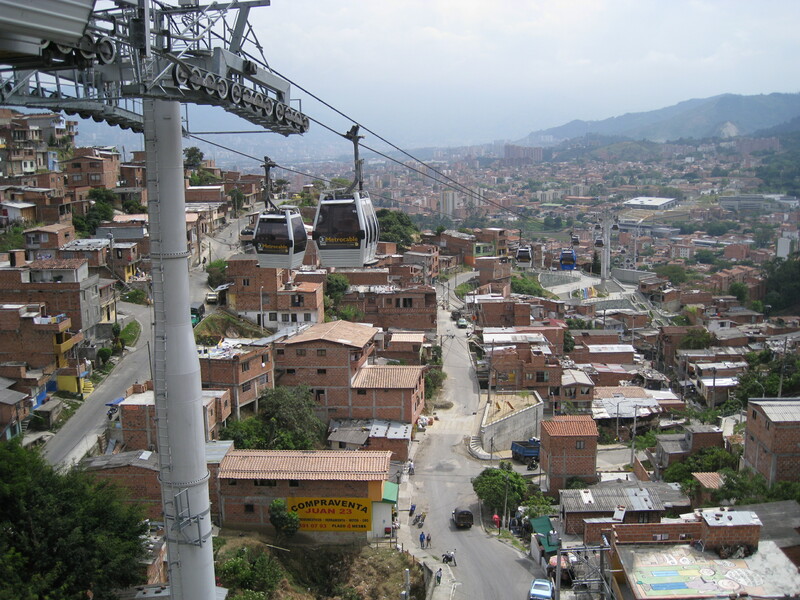 Calling his strategy “social urbanism”, Fajardo emphasized projects that reflected his slogan “Medellín the most educated”. Thus emerged the network of “library parks” and schools of qualities. 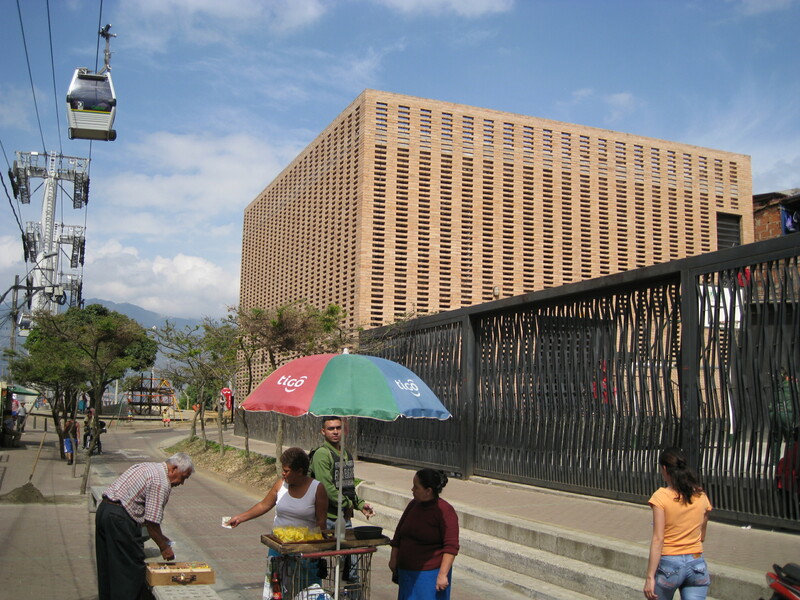 In this regard Fajardo states that the library was built as a” symbol to the new Medellín,” trying to reflect that violence, which limits opportunities can be confronted through ‘knowledge and social inclusion”. Before analyzing some of these projects, it’s important to understand the system and process in of this “social urbanism”. 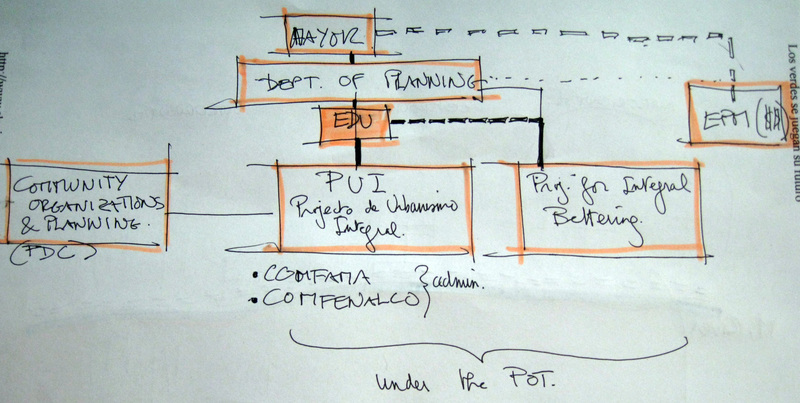 There is obviously the mayor and his administration agents including a planning department and a new entity called EDU: Empresa de Desarrollo Urbano (Entity for Urban Development)- www.edu.gov.co– which takes care of the conception and execution of localized proyects. 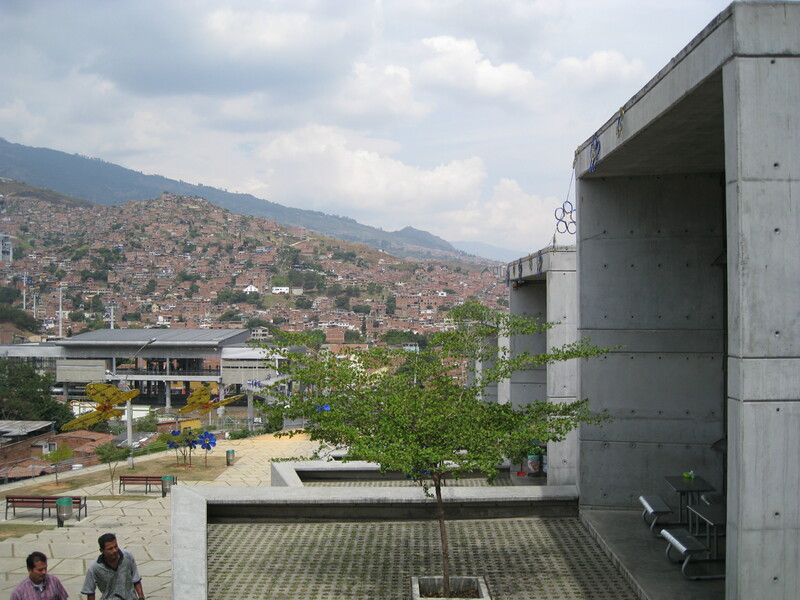 In some of the interventions (particularly the network of libraries), the maintenance and administration of the project is done with COMFENALCO and COMFAMA , two organizations focusing on health, education, loans, housing and culture services (I believe that both are private entities directly supervised by the Colombian government). 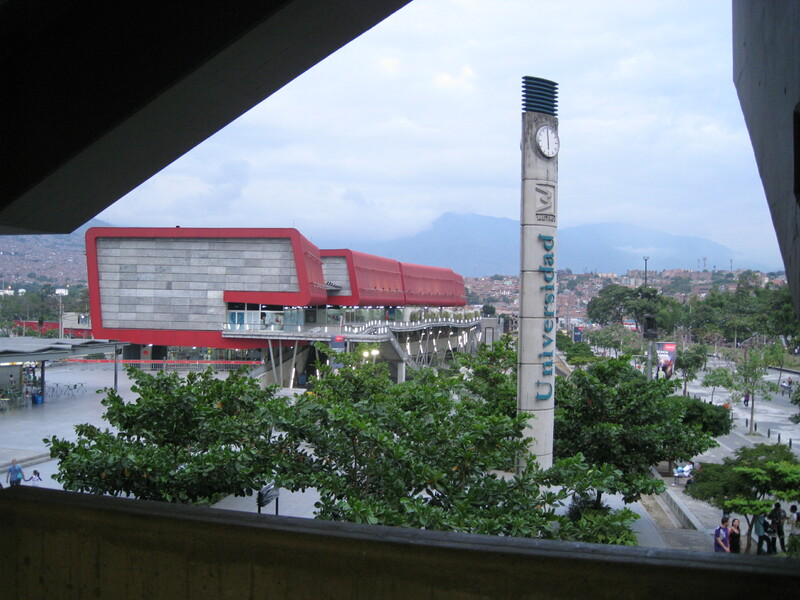 The EPM: Empresas Publicas de Medellín (Medellín’s Utilities Company providing water, gas and electricity, sanitation and telecommunications for the city) has donated mayor bucks to some of these interventions as well as other public buildings (such as the Center for Music, etc.). 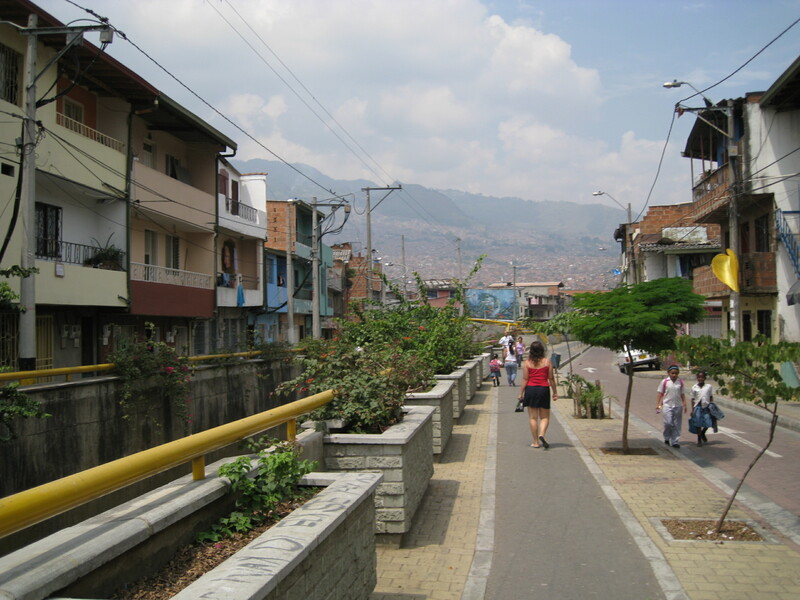 There are usually one or two major projects -Macroproyectos (or “Structuring Axis” as they are referred to)- that become catalysts to smaller public space and infrastructure interventions around a very defined area (surrounding the main interventions). As such, the PUIs are quite punctual and primarily focus on physical strategies. 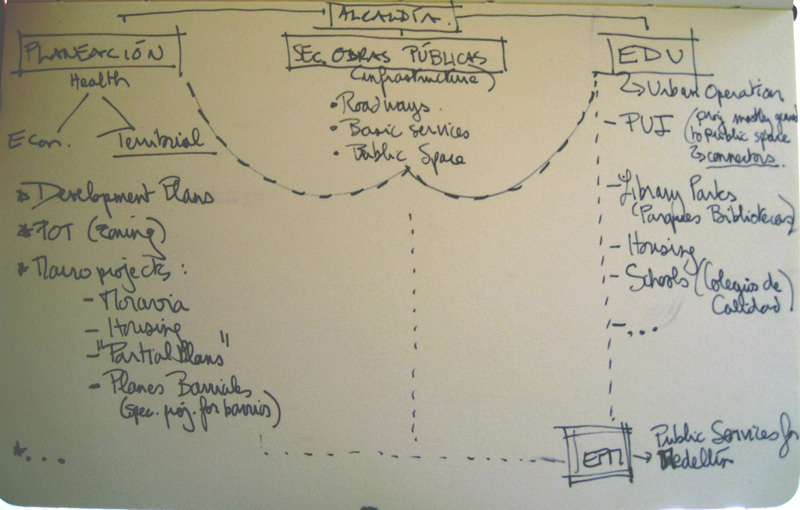 The first PUI took place in the Northeastern part of the city based around on Library Espana and the Metrocable. 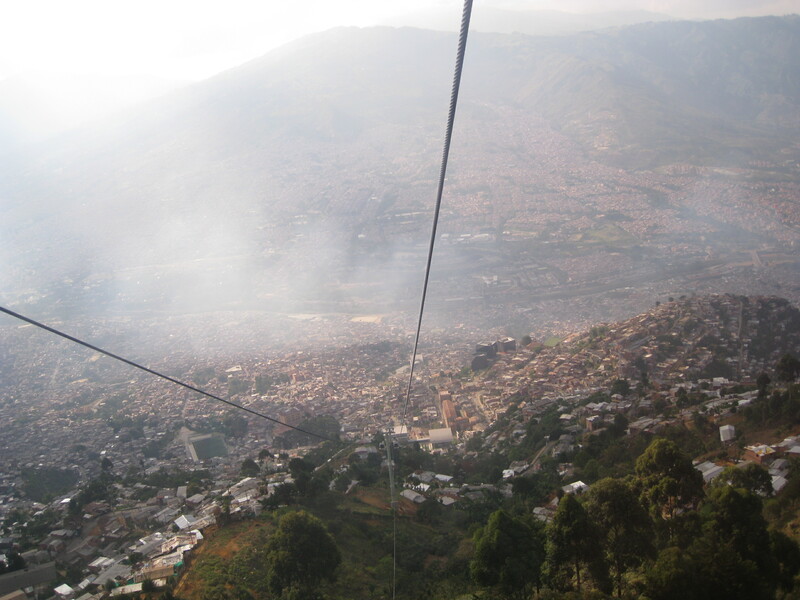 Today, there are 3 other PUIs: the Comuna 13 PUI (located on the south and center-westpart of the city, a very dangerous area right now), Nothwestern PUI and the Center-Eastern PUI. 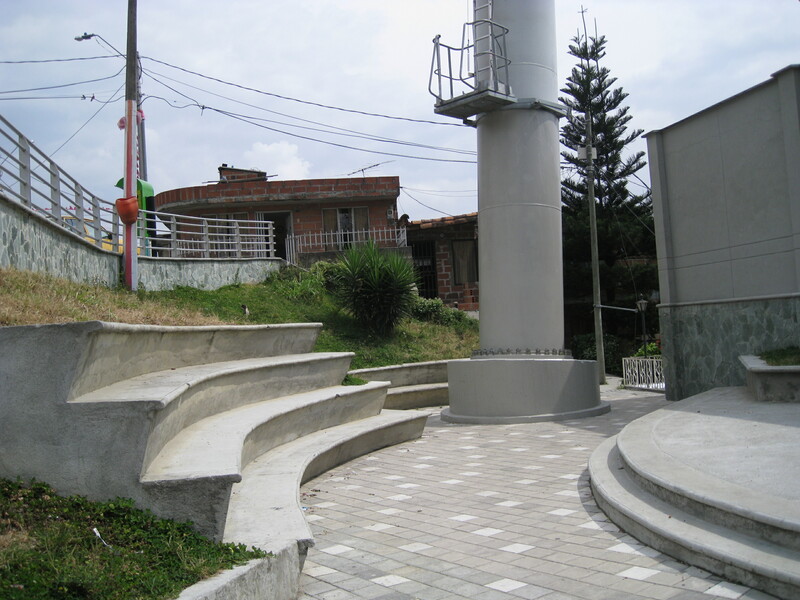 These “integral” projects consist of mostly access and public space interventions including stairs, paths, bridges, soccer field, parks and plazas, creek and environmental restorations, etc. “Project for an Integral Bettering” aiming for an all-inclusive (socio, economic, political and cultural). An example of this type of project is Moravia. From what I have been told (I will go and see for myself tomorrow as I have a date with Moravia’s Cultural Center’s director) this project has less “flashy” and “iconic” architecture and interventions (although the cultural center was design by Colombia’s famous Rogelio Salmona). Both of these types of projects need to be in accordance with a larger land use plan (almost like a zoning plan) call the POT: Plan de Ordenamiento Territorial. The link redirects to the special stories page. I’m trying to do research for a Fulbright Grant proposal to study Social Urbanism.